If you missed them, check out part one, part two, part three, part four, and part five of Jess’ blog. This month, Jess brings us the final installment in her incredible saga. Take it away, Jess! Enjoying an outing on a camel, borrowed from one of the locals. Egyptian hospitality turned out to be brilliant, with mint teas, guava juice, and dates offered up constantly. 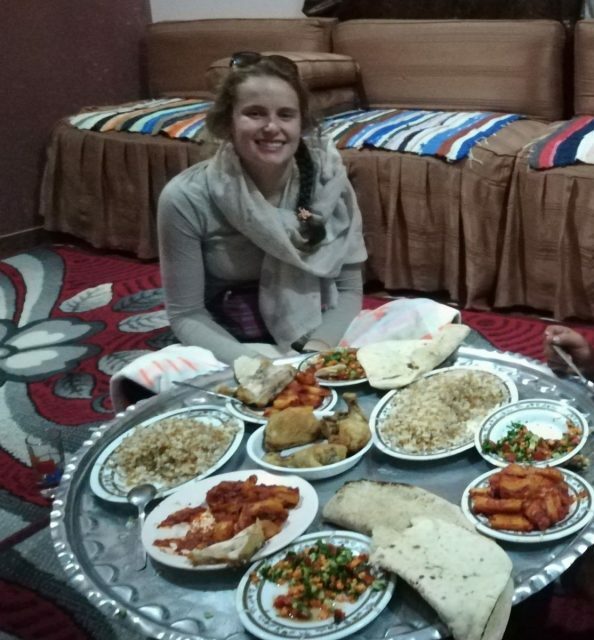 Here, a traditional Egyptian lunch fuels an afternoon of hard work at the clinic. My heart also aches though for the young boys with no shoes and tattered clothes bringing their faithful but weary farm horses and donkeys to be treated, for the children in the street begging for money or food from taxi windows and for the men in the markets desperately trying to sell their produce. Whilst poverty, tradition and lack of knowledge undoubtedly play a part in the suffering of working horses, I will not, and cannot, defend cruelty and neglect! Many owners don’t have the funds or resources to give their horses the level of care that we, in Europe and the USA, would find acceptable, and we have to appreciate that our way of life and level of wealth is actually only obtainable to the minority of the world’s population. However, there’s so much needless suffering caused by pure carelessness and people having no empathy for their animals. Being poor is not an excuse for whipping a horse until it bleeds, shredding a horse’s tongue to pieces with a sharp bit or not untacking it for days on end. 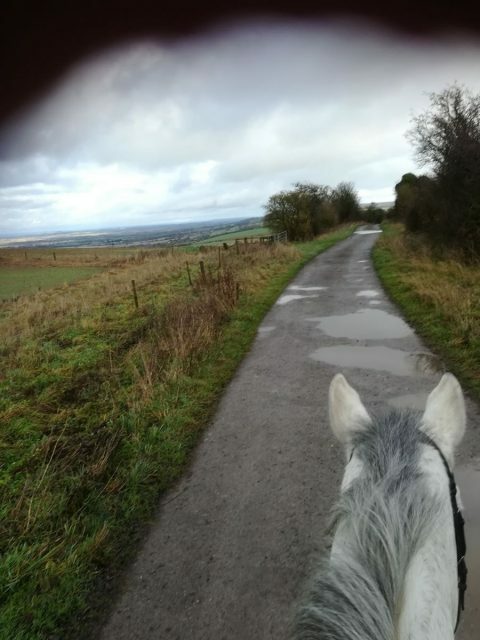 Of course, better education and training for vets and farriers would help improve things hugely, but for the horses to benefit, their owners need to change their attitudes and take the welfare of their animals seriously. 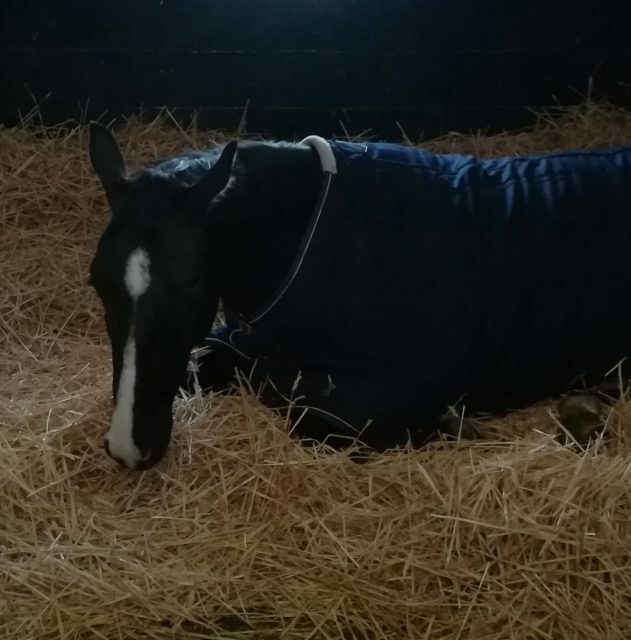 It’s easy to take European and American standards of care for granted, but not every horse is lucky enough to sink into a deep, clean bed at the end of his working day. So what’s the solution? If carriages were banned, what would happen to the 1000+ surplus horses? What would their owners and their families do for a living? Surely the people, and therefore horses, would be far worse off? Laws and regulations desperately need to be put in place, but in a country so corrupt and full of bribery, I still fear that implementing these laws would be a mammoth task and wholly dependent on the police’s conscience. Would they care about the welfare of the horses, or would they be happy to turn a blind eye to the law breakers for a baksheesh reward? What is the future for horses in agriculture? There seems, slowly, to be more machines used in farming, but that’s actually putting more pressure on the farmers who do things the traditional way to keep up, and their horses or donkeys are having to work longer, harder and faster. The more I’ve learnt about the lives of Egyptians, the more questions and fewer answers I have about what we can do to help their working horses and honestly, I’m currently feeling a bit overwhelmed and at a loss. One thing I do know, though, is that we have to do something! I will forever be inspired by Kim from Animal Care Egypt and Jill from Egypt Equine Aid for standing up and taking action against something that is undeniably wrong, and for continuing to persist and overcome challenge after challenge, day in and day out. They are truly playing a crucial role in creating a better future for the working equids of Egypt, and I can’t bear thinking about what would be happening to the horses there without them. Everyday, the horses I met amazed me with their nobility and faithfulness — considering the agony they must have endured and the trauma they have faced at the hands of humans, to allow people anywhere near them at all, let alone to keep on working, cements my unfaltering respect for these incredible animals and only ignites the fire of wanting to help them even more. I’m now more determined than ever to play my part in improving their working conditions. 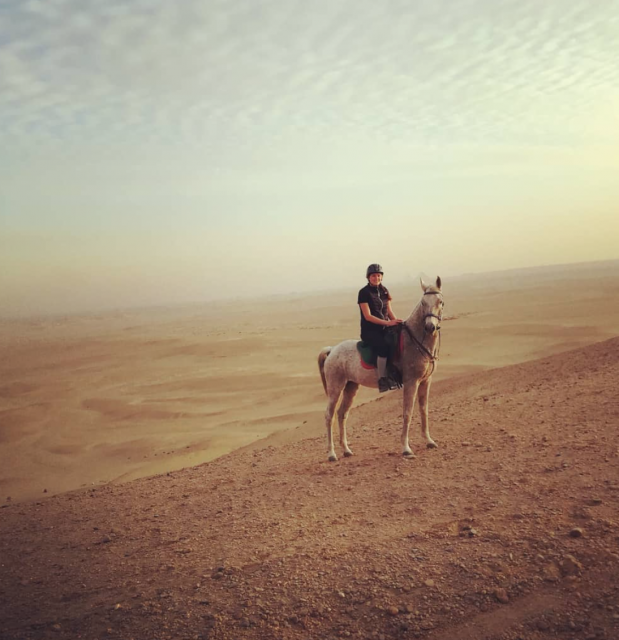 Not every horse in Egypt is poorly-treated – this one proved a great companion for a mounted exploration of the desert, though perhaps a bit different from a four-star eventer! 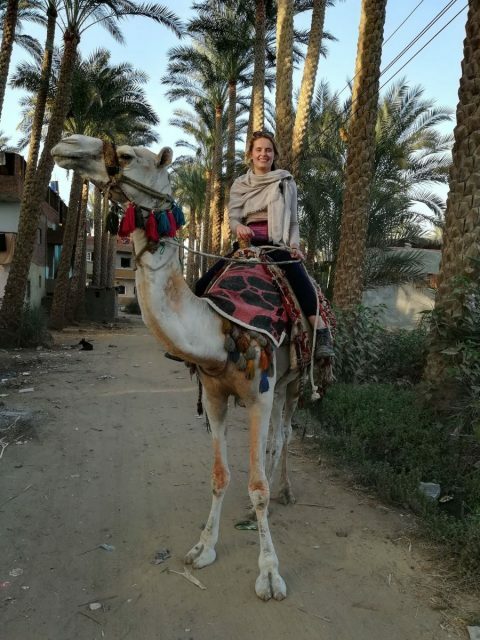 I was — unnecessarily — really nervous about going to Egypt before I got there, and was actually shocked and ashamed of my own ignorance and naivety about the culture in that part of the world. 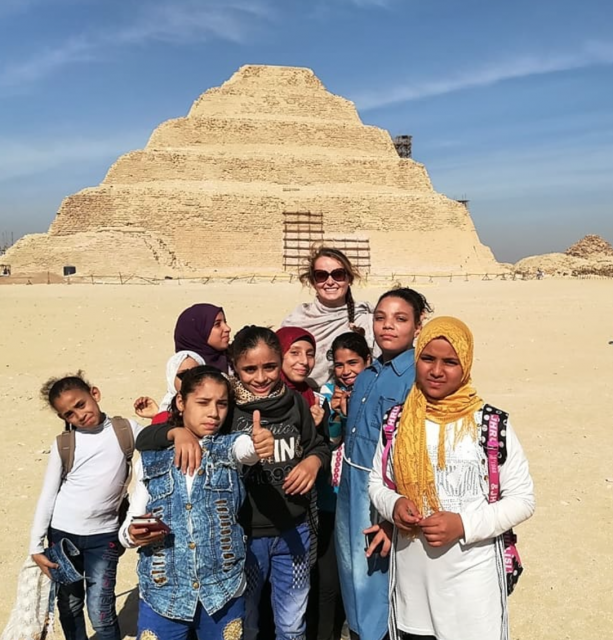 Although very different to Western countries, I experienced nothing but kindness and hospitality from the Egyptian people and really came away with an overriding feeling that deep down we’re all much more similar than we think. On a personal level, it was not only a really fulfilling experience, but a huge challenge and adventure, and it really accentuated to me that the more you put into life the more you will get out of it in return — if you follow your passion, get out of your comfort zone, believe in yourself, and open your mind there are no limits to what you can do! A slight change of scenery: back home in the UK, it’s time to get Sir Mark’s horses — including Kiltubrid Rhapsody, seen here — back into work and ready for next season. I am so grateful to Eventing Nation, especially Tilly Berendt, for inviting me to share this journey and have been truly overwhelmed by everyone’s support of this cause — your encouraging words helped me through some difficult times, and I’m ecstatic that we have raised £1,485 so far — a huge thank you from the bottom of my (now heavier) heart to every single person who has donated, and even those who haven’t donated but have cared enough to follow my blogs and educate yourselves a little bit about what is happening to Egypt’s horses. Alone, I feel like any difference I can make is just a tiny drop in the huge ocean of deprivation these poor horses face, but if we put all our drops together we can make a wave that ripples deep into the cycle of poverty, ignorance and tradition and paves the way for a brighter, fairer future for these virtuous animals and the many that depend on them. For now, it’s back to my awesome life as an eventing groom, but I’m feeling so motivated to continue on this mission — watch this space!